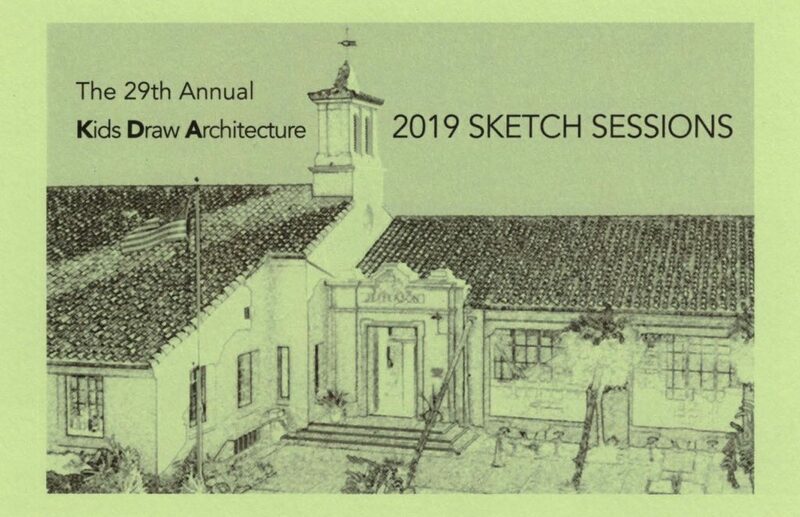 The Architectural Foundation is pleased to announce the annual Kids Draw Architecture sketch sessions, taking place on March 9 and April 13, 2019. Sketch sessions are free and drawing materials will be provided. The award-winning Kids Draw Architecture program was developed by the Architectural Foundation of Santa Barbara to enrich our community’s awareness of the built environment. Young people are encouraged to sketch our architectural landmarks, guided by local architects and artists. 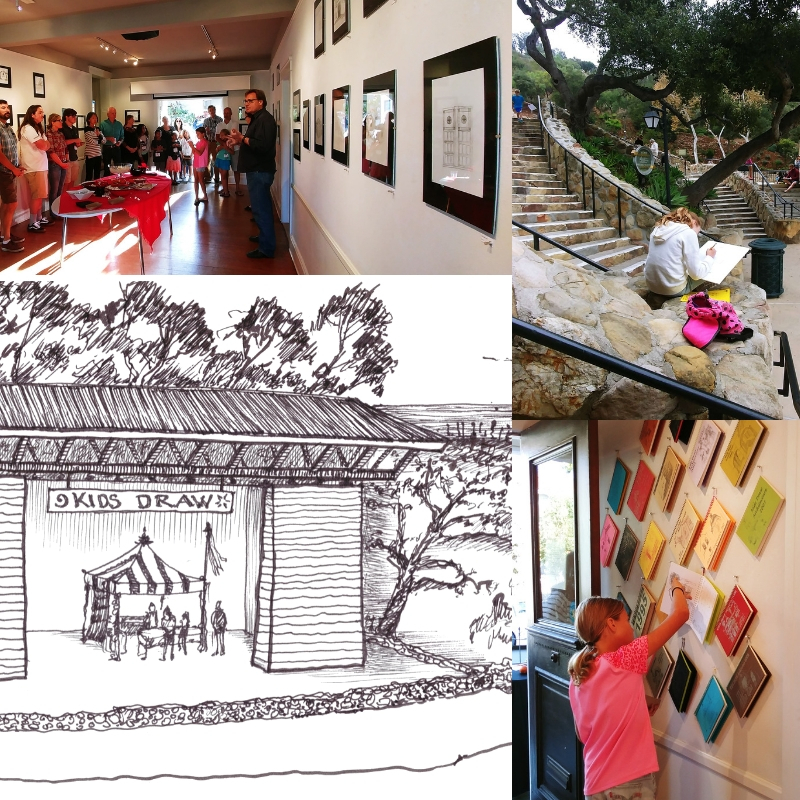 Celebrating a tradition of over twenty-five years, the Kids Draw Architecture program brings together professional architects and artists to sketch significant buildings with Santa Barbara County youth of all ages. 2019 Kids Draw Architecture calendars containing selected drawings and KDA T-shirts and other merchandise will be available for purchase during these events. All are welcome to participate! Additional images are available upon request. Please call 805-965-6307 for further information.